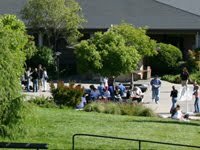 You can use either form to refer to Cabrillo College staff and faculty email. Your 'real' Email username is still the first two digits of your first name and the first 6 digits of your last name (e.g., josmith@cabrillo.edu). Your Network Account Login Name has NOT changed, so continue to use it to login to our network. TIP: If you decide to use the new Firstname.Lastname@cabrillo.edu email alias then change your Reply-To address in your Netscape or Mozilla preferences to reflect the change.